Add that extra layer of sophistication to your outfit with this belt which is brought to you by Allen Solly. It has been made of premium quality leather gives it a nice finish, while the beautiful pattern throughout lends it a trendy look. Moreover, it comes with a buckle closure that will provide you with a proper fit. 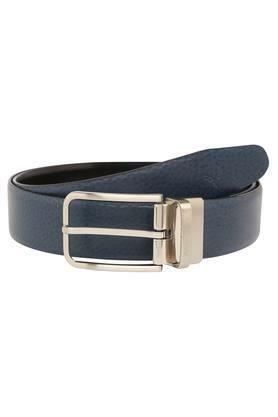 Anyone, who is fashion conscious will love this casual belt, which has been designed to perfection. You can team it with a pair of trousers and a T-Shirt to make a style statement.